Liu Meizhen has been searching for her long-lost brother for what feels like forever. Her journey has taken her from China to San Francisco to Haskell, Wyoming, and beyond. But she’s tired of searching, and when the opportunity arises to end her wandering in Noelle, Colorado by becoming a mail-order bride, she leaps at it. Noelle is exactly what she’s been looking for, and Woody, the man she has promised to marry, is everything she could have hoped for. Woody Burnside knows he’s not the smartest man in Noelle, but he works hard, cares deeply for the animals that are entrusted to his care, and believes with his whole heart that he could be a good husband. And the three hens that shadow him wherever he goes, Mimi, Gigi, and Fifi, seem to agree. Meizhen is more than he could have hoped for in a bride, and he is determined to make her the happiest woman in Colorado. But just when everything looks like it’s going to be happily ever after, the ghost of Meizhen’s past shows up in the most unlikely place. She suddenly finds herself torn between her duty toward her family and the promise she made to Woody. And with time running out for Noelle, she must make a decision that she fears will hurt someone she cares for deeply. Miranda Clarke is a respectable, proper woman. So when she inherits The Holey Bucket Saloon in Mistletoe, Montana from her Uncle Buford, she is livid. 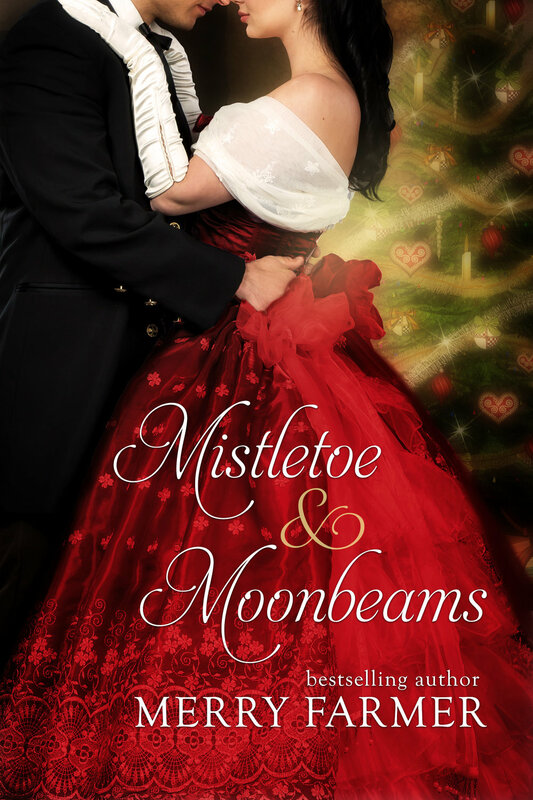 She feels she has no other choice than to travel to Mistletoe and keep the place open, since that’s what her uncle wanted, but it is certainly not the life she wants to lead. Randall Sinclair is a traveling brush salesman with dreams of bigger things. That is, his father has dreams of bigger things for him. And drives him relentlessly to achieve them. Randall himself would be more than happy to live a quiet life in a quiet town with a loving wife. Especially when he finds himself faced with beautiful and inimitable saloonkeeper, Miranda. Their acquaintance seems doomed to be a brief one, two ships passing in the night…until a blizzard traps them alone in the saloon together. With nothing to do but clean up the saloon and sort through their immediate and intense attraction, the final days approaching Christmas end up being anything but cold, but with so many expectations heaped on top of them, can “Randy” and “Randi” find a way to be together after the storm? Willow: Bride of Pennsylvania is second in the unprecedented 50-book American Mail-Order Brides series. When a fire destroys the factory where Willow Miller works, her only choice for a secure future comes through becoming a mail-order bride to ex-Amish, Amos Stoltzfus, and moving to her ancestral home of Pennsylvania. Hope carries her forward into a new life, but guilt over her part in the fire that destroyed the factory threatens to hold her back. Amos Stoltzfus is overjoyed to bring someone as sweet and special as Willow into his life to recapture a sense of family and love that he has been missing. But Amos has a past of his own and unresolved conflict with his neighbor and former best friend, Mark Lapp, that stands in the way of family, happiness, and the community around him. Can Willow help resolve the pain and heal the breach that divides Amos from his community and his culture, or will her troubles stand in the way of her and Amos’s happiness?